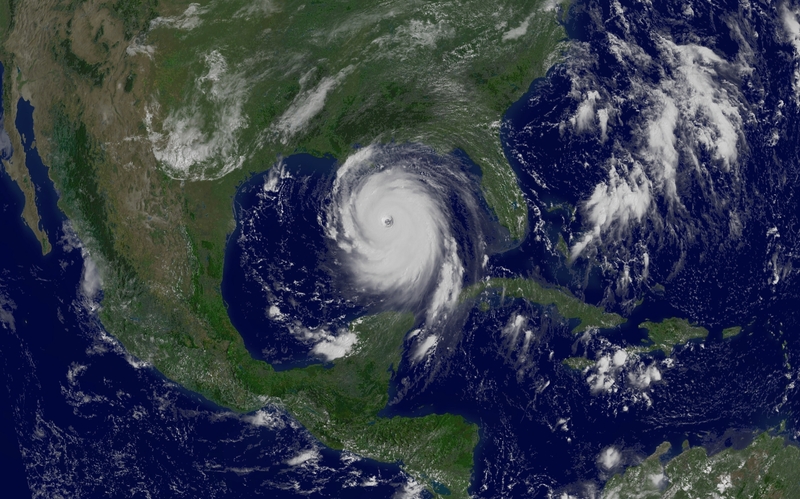 Explanation: Where will Hurricane Katrina go? One of the stronger storm systems of modern times appears headed for landfall somewhere in the southern USA sometime today. 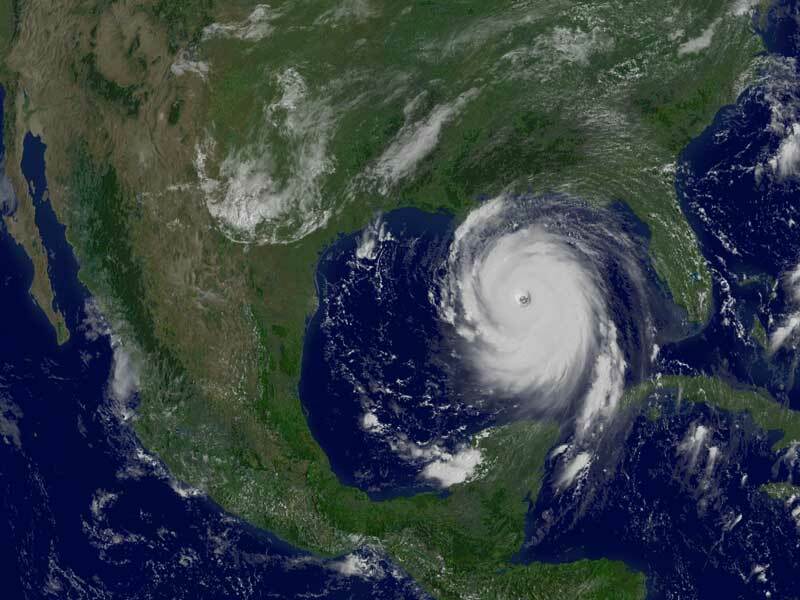 Katrina was designated yesterday a rare Category 5 Hurricane, the strongest designation for a storm on Earth, and one that indicates sustained winds greater than 250 kilometers per hour. Pictured above is a digitally processed image from the orbiting GOES-12 weather satellite that shows the massive storm system yesterday in the Gulf of Mexico. Starting as a slight pressure difference, hurricanes grow into large spiraling storm systems of low pressure, complete with high winds and driving rain. A hurricane is powered by evaporating ocean water, and so typically gains strength over warm water and loses strength over land. Much remains unknown about hurricanes and cyclones, including how they are formed and the exact path they will take.